Oakham, near Bruton, is a tiny village by a big river without a bridge. When a man is swept away by the river in the early hours of Shrove Saturday, an explanation has to be found. Was it murder, or suicide, or an accident? The whole story is relayed by the village priest, John Reve, who in his role as confessor is privy to a lot of information that others do not have. But will he be able to explain what happened to the victim, Tom Newman, the wealthiest, most capable man in the village? And what will happen if he can't? 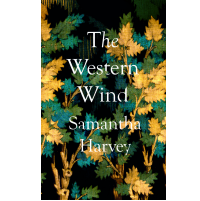 The Western Wind is set in 1491, and is told backwards over the four days of Shrovetide, as we witness Reve's struggle to bring clarity to the events that caused Newman's death. In the middle of a winter's night, a woman wraps herself in a blanket, picks up a pen and starts writing to an estranged friend. Without knowing if her friend, Butterfly, is alive or dead, she writes night after night - a letter of friendship that turns into something more revealing and recriminating. By turns a belated outlet for rage, an act of self-defence, and an offering of forgiveness, the letter revisits a betrayal that happened a decade and a half before, and dissects what is left of a friendship caught between the forces of hatred and love. 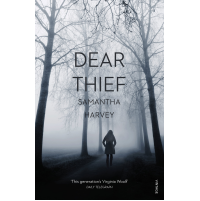 Dear Thief was longlisted for the Bailey's Prize and the Jerwood Fiction Uncovered Prize. It was shortlisted for the James Tait Black Memorial Prize. It is late summer in London. Leonard Deppling returns to the capital from Scotland, where he has spent the past year nursing his dying father. Missing from the funeral was his older brother William, who lives in the north of the city with his wife and three young sons. Leonard is alone and rootless – separated from his partner and on a sabbatical from work. He moves in with William, hoping to renew their friendship, and to unite their now diminished family. William is a former lecturer and activist who now runs informal meetings with ex-students. Defiantly unworldly and forever questioning, he is a man who believes that happiness and freedom come only from knowing oneself, and who spends his life examining the extent of his ignorance. Yet for all Leonard’s attempts at closeness with his brother, he comes to share his late father’s anxieties about the eccentricities of William’s behaviour. But it seems William has already set his own fate in motion, when news comes of a young student who has followed one of his arguments to a shocking conclusion. Rather than submit, William embraces the danger in the only way he knows how – a decision which threatens to consume not only himself, but his entire family. 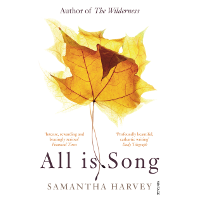 Set against the backdrop of tabloid frenzies and an escalating national crisis, All Is Song is a novel about filial and moral duty, and about the choice of questioning above conforming. It is a work of remarkable perception, intensity and resonance from one of Britain’s most promising young writers. When we discuss what novels are about, I think it’s sometimes true that the author’s answer will be different to the reader’s. This is the case for All Is Song, which is, to me, a book that tries to re-imagine and reinterpret the life of Socrates in the modern western world. I’m sure that this isn’t what the book appeared to be about for most readers, especially those who know nothing about Socrates. I can’t anticipate what it might be about for others. Each and every reader response is definitive. So all I attempt to do here in this very short space is say what motivated me to write it, and what I wanted to say. William is a very loose refashioning of Socrates, with a biography largely borrowed from him. I have referenced events and aspects of Socrates’ life continually for those who would know to look out for it, but want at no point for the uninitiated reader to feel lost or excluded from a private joke. I wrote about Socrates because I wanted to explore how the deeply questioning mind is tolerated in modern society. If we look back on Socrates now at all, we tend to do so with fondness, respect and a tacit disapproval of the society that put him to death. Those feckless ancients! And yet, are we any better? So often I feel that in the centuries of astonishing progress since Socrates’ death, the one area in which we’ve shown little progress is in our willingness to look honestly at ourselves, as individuals, and be prepared to question the validity of the things we believe, even where this means letting go of views we’ve come to identify with. Would we be any more tolerant towards a person who insisted, absolutely insisted, on doing this now? All Is Song is an open-ended exploration of this question, and from this basic starting point the figure of Socrates himself fades away and those of William and Leonard come into being. Then the novel is wrested away from Socrates and becomes, absolutely, theirs. Jake Jameson is a sixty-five-year-old architect who is on the cusp of retirement. One evening he’s sitting alone in the office, staring down at an architectural drawing. He can’t quite figure out what he’s supposed to do with it. Suddenly he remembers a word, one for which he has been trying for days to recall; entropy – for him the single most interesting theory that exists, a theory that says everything loses, rather than gains, order. This idea underlies this riveting tale of a man whose memories are slowly eroding. As Alzheimer’s begins to wear away his sense of identity, Jake builds stories around his life that inform his feelings of blame and responsibility – only to have the stories disintegrate faster than he can capture them. As the plot keeps shifting and the facts unravel, little mysteries start to form: What was the problem with the missing letter “e”? What was behind the mythologies that his Jewish mother told him as a child? Where is his daughter Alice? What happened to her? Eventually we realise that even Jake’s clearest memories may not be true. He is the flawed witness to his own past, the ultimate unreliable narrator. Yet in the end we are left with a clear and moving portrait not only of a sympathetic man but also of a heartrending disease as seen from the inside out. Arrestingly understated and wise, The Wilderness is a memorable first novel by an extraordinarily gifted new writer. 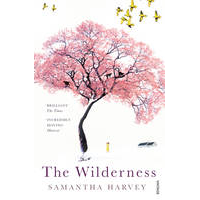 The Wilderness was shortlisted for The Guardian First Book Award and the Orange Prize for Fiction. It was longlisted for the Man Booker Prize, and won the inaugural AMI Literature Award and the Betty Trask Prize.